While he has experience in all aspects of commercial real estate, his primary focus is on industrial and investment properties having completed transactions throughout all of Rhode Island and southern Massachusetts. He is experienced in buyer and tenant representation, as well as seller and landlord representation. Notable assignments include a buyer representation assignment for the acquisition of a 245,000' manufacturing facility in Cumberland, RI. He simultaneously sold an abutting multi-tenant retail property for a combined value of $10 million. He also leased 112,000' to a 3PL as a landlord representative. George currently represents and is advising the ownership of a 175 acre business park in the development stages in northern Rhode Island. Mr. Paskalis has worked with national, regional and local companies throughout his career. Some of his notable clients include Southwestern/Great American, Wildtree, Okonite Company, National Grid, Interstate Brands Corporation, UPS, Banneker Industries and Millwork One to name a few. Mr. Paskalis is a graduate of the University of Rochester in Rochester, New York where he holds a degree in Economics. 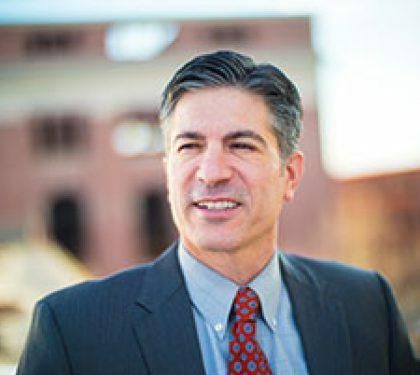 He is active in a number of organizations, including the Rhode Island Building Owners Association, where he is a past President, and the Greater Providence Chamber of Commerce. He recently earned his SIOR designation (Society of Industrial and Office Realtors), which is a professional symbol of the highest level of knowledge, production, and ethics in the real estate industry. In his spare time he also coaches youth ice hockey. George and his two sons currently reside in East Greenwich, Rhode Island.